Host and French Reporter Jackie Watson hits the red carpet for the 4th Annual Hollywood Beauty Awards. Once again, The Hollywood beauty Awards seals its spot on the list of events to watch out for. In its 4th consecutive year, this years event, hosted by Radio Personality, Lisa Stanley, was super exciting and had some of the biggest celebrities in attendance. As you know, at Watson Headquarters, we strive to bring to you the latest and most fun events happening on the big screens and around you. Along with camera and crew, Our very own, French Reporter was on site to bring you action from the red carpet as well as interviews with your favorite celebrities. Held on Sunday, February 25, 2018, the Avalon Hollywood Center was adorned in bright and beautiful colors in honor of incredible talent in hair, makeup, photography and styling for Film, TV, Music, the red carpet and editorial. The 4th annual Hollywood Beauty Awards (HBAs) celebrated the architects of beauty. 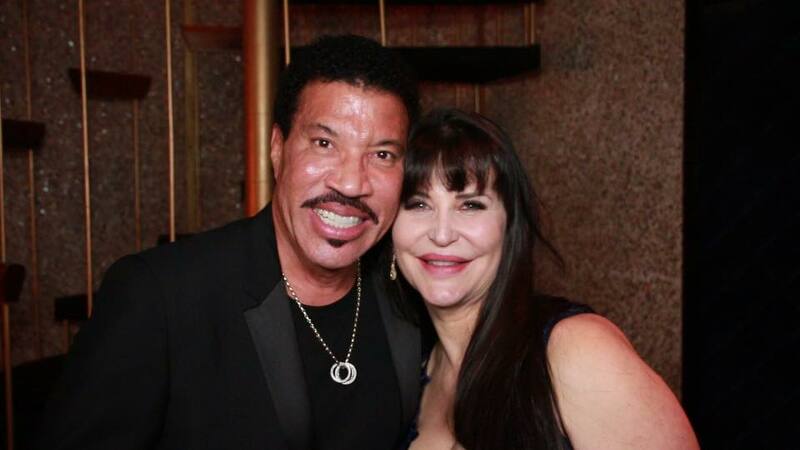 In attendance were celebrities like Lionel Richie, who was available in a grand style to present the Gentleman award to his longtime friend, Smokey Robinson. Also present was Marvels Black Panther and Wakanda, Danai Gurira dressed in a beautiful red Dress. Danai stressed the importance of recognizing the persons doing all the work behind the scenes. According to her “They are part of the family and the make up the core of the craft, they are artists that deserve to be honored just like any other artists”. “I celebrate you and I love you”. These were the words of Kerry Washington who presented the Makeup Award to Carola Gonzalez. While receiving the award, Gonzalez expressed deep gratitude to the HBA and voters for being recognized for her work as an artist. She recounts her journey of moving to the United States to be a makeup artist and says it is amazing to be honored with the award. It is worthy of note that the Hollywood Beauty Awards was not only about presenting plaques to high performers in beauty, it was also about celebrating friendships, nurturing relationships and showing love. According to Lionel Richie who referred to Smokey Robinson as his Mentor and Role Model “If there was ever a consummate gentleman, It would be Smokey Robinson. He gave me the best advice I have ever received and I love being here tonight to present this award to him”. Similarly, Oscar-nominated actor, Samuel L. Jackson was available to present the Outstanding Achievement in Hairstyling to his longtime friend, Camille Friend. Mr. Jackson admitted that Stylists do make his job easier as an actor. “Camille is one of my best friends, thank you so much, Camille, for all that you do”. While co-presenting the Award to Camille Friend, Actress, Elizabeth Banks also stressed the importance of friendships in the industry. “You give friends love and support, you give a hundred and seventy-five percent”, she says pointedly. In her acceptance speech, Los Angeles based Camille Friend lavishly lauded Samuel L. Jackson and Elizabeth Banks, “He has taught me Excellence, Longevity and creative license” she says of Mr. Jackson and states that she learned from Elizabeth Banks that you should have “laser focus on the things that you want”. Unable to be physically present, pop superstar, Janet Jackson, Fashion Icon and Black-ish Star, Tracee Ellis Ross and Legendary Actor/Producer Michael Douglas had very special messages for the evening’s Honorees. The highlight of the evening was the Fragrance of the Year Award presented to Britney Spears for fantasy BRITNEY SPEARS™ IN BLOOM. Presented by Revelons VP Ron Rolleston, the award recognizes the Fragrance mogul for her fantastic achievements. In case you don’t know, this is the 21st fragrance to the credit of Britney Spears and the HBA honored such an enviable track record. In her acceptance speech, Miss Spears expressed gratitude to the HBA. When asked on the red carpet if she was working on a new fragrance, Miss spears frankly admits to the French reporter “yes we are, it is a secret project though”. So watch out for the next fragrance from Britney Spears. Other awards include the Timeless Beauty Award presented to Jane Seymour. Also, Musical Artiste, Tinashe took home the New Beauty Award and Claude Baruk was honored with the Gail Ryan Hairstyling Award. Overall, the evening was filled with laughter, joy and a wonderful medium for the celebration of love, friendship, and beauty.